Under 'My computer' 'Manage' you will find 'Disk Management' . 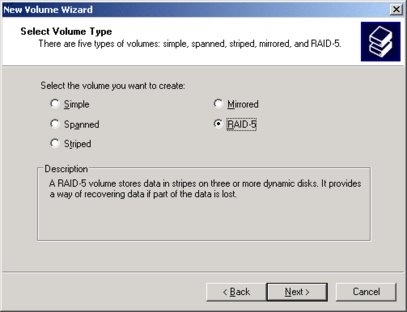 Right click each drive you want in the RAID-5 configuration, and Select Volume Type 'RAID 5'. Now you are up and running. Now we will use and test it.